Includes dress, headband and vest. Does not include any other accessories. Still confused on what to wear for your 60's - 70's theme party? 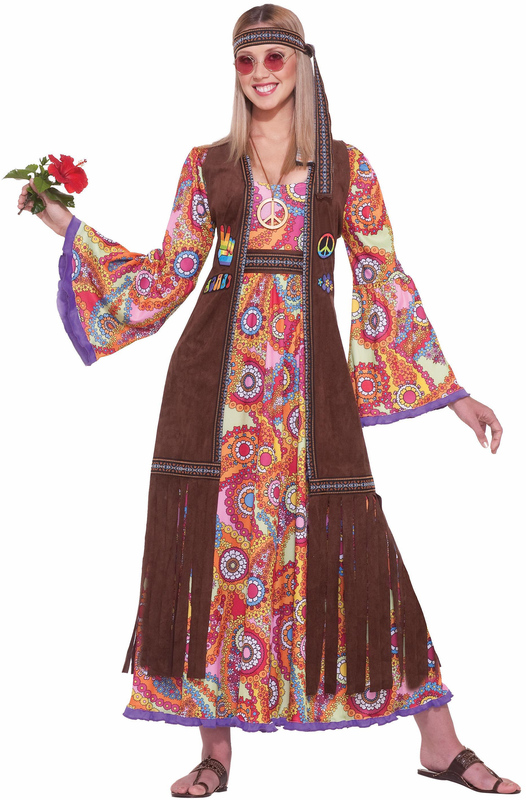 Try this hippie costume and be the talk of party. This beautiful dress with flower patterned style supported by a matching headband and vest will definitely make you stand out of the crowd.